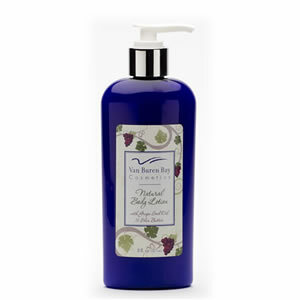 Naturally nourishing lotion leaves your skin feeling soft, smooth, and protected from the elements. The un-fragranced lotion is great for a night time moisturizer and facial application. Cabernet and Jasmine are packaged in a blue bottle. Elderberry and unscented in a white bottle.